My go-to dry shampoo has always been Batiste as it leaves my hair looking full, thick and refreshed, however it comes with a major downside as their normal formula leaves a white residue in my dark hair which is difficult to blend in and the formula for dark hair leaves brown powder all over my hands and around my hairline. So when I heard of COLAB's range of dry shampoo which claims to leave no white residue in your hair I was really excited to try it! They come in a range of different scents based on cities around the world - London, New York, Paris, Rio and Tokyo. I'm obsessed with Paris (my room is covered in Paris-related things as well as Disney merchandise) so I knew I had to try that one. Overall it smells AMAZING - the Paris one is a really pretty, sweet floral scent which I could still smell in my hair for hours after using it and it really does leave no white residue. I was a bit skeptical whether it would actually be 'invisible' as the bottle claims but I couldn't see any hint of residue! However while it did absorb oil it didn't give any texture to my hair which left it looking flat and lifeless. Unfortunately based on this I'll still have to stick with Batiste for now as even though I find the powder hard to blend in, it makes my hair look so clean and refreshed. 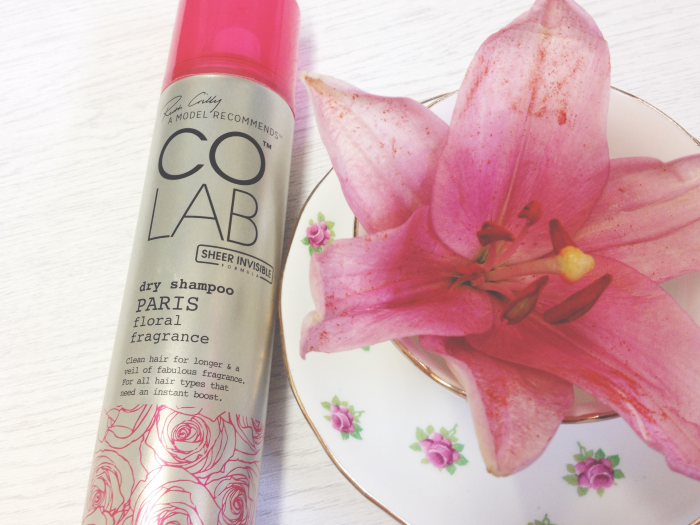 If COLAB could just find a way to make their formula texturising as well then they'd have the perfect dry shampoo. 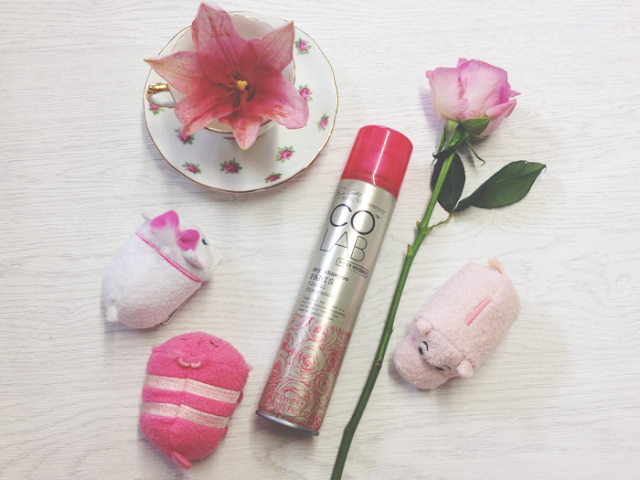 But until then, the hunt for the perfect dry shampoo is still on!